Just this week it was announced that Poker Central and 888poker have renewed their partnership deal. With the new deal, 888 will be the sponsor of this year’s Super High Roller Bowl as well as several top events for Poker Central this year into 2019. The details of the agreement place 888poker as the only in-show sponsor for the real money online poker gaming category and place the brand as the principle sponsor of the 2018 Super High Roller Bowl. The brand will be featured during poker event broadcasts including Poker Masters, the ARIA High Roller Series, the U.S. Poker Open and Poker After Dark. Poker Central Vice President, Sam Simmons, commented on the deal renewal by stating that this is the third consecutive year that Poker Central has partnered with 888poker and they could not be more pleased to have the company on board for their growing list of events. With the new deal, 888poker will be providing members with access to packages to exclusive events of Poker Central. This will include the Super High Roller Bowl. The 2018 version will be one of the largest high-stakes events taking place, with a buy-in of $300,000 and a huge cash prize. Last year, the event was won by Christoph Vogelsang, a poker pro of Germany, who earned a $6 million payday. Players should definitely take part in the 888poker offerings to try and earn a seat to this event and others from Poker Central. 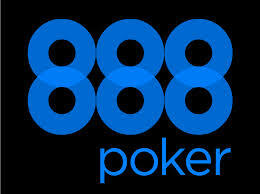 888 Holdings SVP Head of B2C Guy Cohen also commented on the new deal, stating that 888 is thrilled to continue their relationship with Poker Central and look forward to the ‘fantastic initiatives’ the two will pursue together. Cohen pointed out that the commitment of 888poker to take back the game is strengthened further with the renewed partnership with Poker Central.